haha he's gonna have one hell of a hangover! 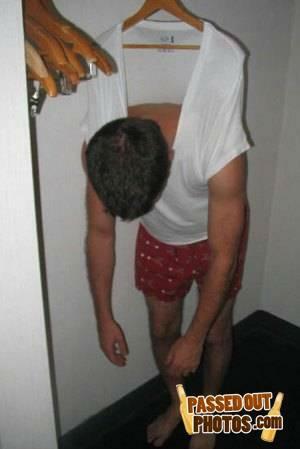 In soviet Russia coat hanger HANGS YOU!!! At least his shirt won't be wrinkled. That is cool that people are able to get the credit loans and this opens new chances. Christmas party at Abercrombie and Fitch. He is just saving space in his small appartment. I would've slipped his shorts off and after blowing him would've slipped him my wood!